Getting kids to write doesn't have to be hard. Just give them writing prompts they can get excited about! 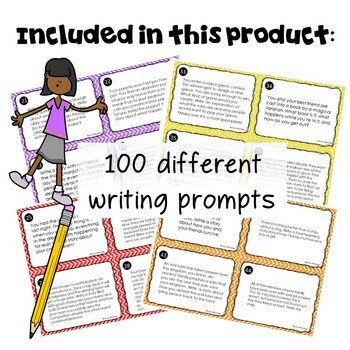 This product is a set of 100 original writing prompts that your students will love. 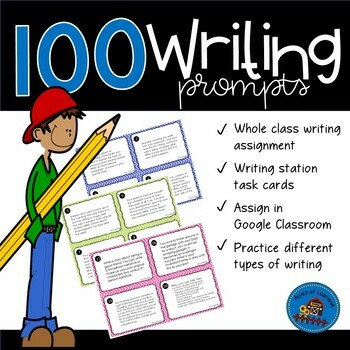 You can use these prompts as a whole class writing assignment, as part of a writing station, or as a fun option for fast finishers. 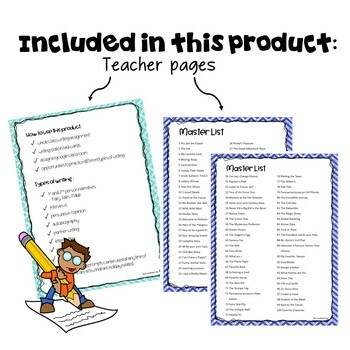 For Google Slides form of this product- email my store and I will share the link with you. Please do NOT share with other teachers. when I post a new product…you’ll be able to buy at a discount for the first 24 hours! 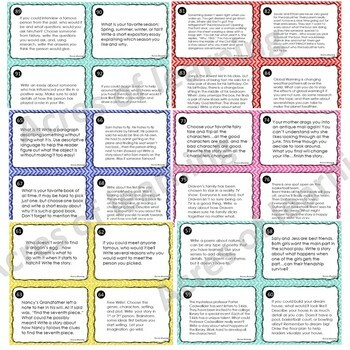 Don’t forget to leave feedback and earn TpT credits!